There’s a lot to love about the companies that took home top honours at this year’s autumn event. Maybe you are a fan of financial literacy, and believe that the best way to ensure a happy financial future is to invest in financial education at an early age. Perhaps you are looking for ways to better engage the customers at your bank or credit union, providing them with more personalised, intuitive solutions to improve their financial lives. 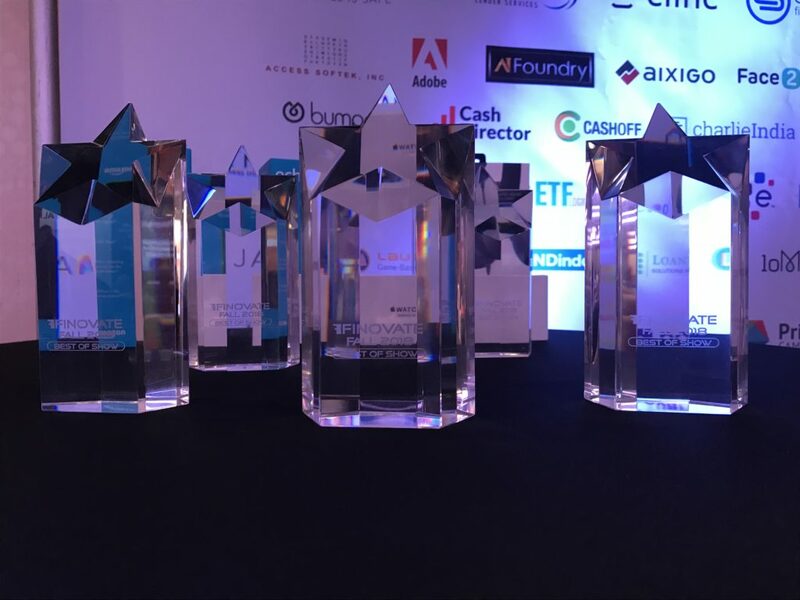 From the challenge of helping ageing parents manage their finances and avoid scams to innovative strategies to turn everyday purchases into investments in the stock market, the Best of Show winners of FinovateFall 2018 are a diverse group. And that diversity reflects the fascinating breadth of what it means to be a fintech company today. With that, let’s meet our Fantastic Five. Four of them are Finovate newcomers and the fifth, Meniga, is both a long-time alum and multiple Best of Show award winner. Banzai for its turnkey, CRA eligible, experience-based learning solutions that help users master personal finance. Bond.AI for its human-centered artificial intelligence (AI) platform, powered by the world’s first “empathy engine”, that helps banks better understand user behaviour and encourage them to improve their financial health. Bumped for its technology that enables brands to give their customers free stock for their purchases, turning loyal shoppers and spenders into shareholders. Golden for its Financial Caregiving app and website that socialises wealth and daily money management across generations, helping 75 million baby boomers who are taking financial care of their 50 million senior parents. Meniga for its white-label, digital banking solutions that enable banks to build customer engagement and help customers improve their financial lives. The biggest personal finance management (PFM) deal in Europe to date.